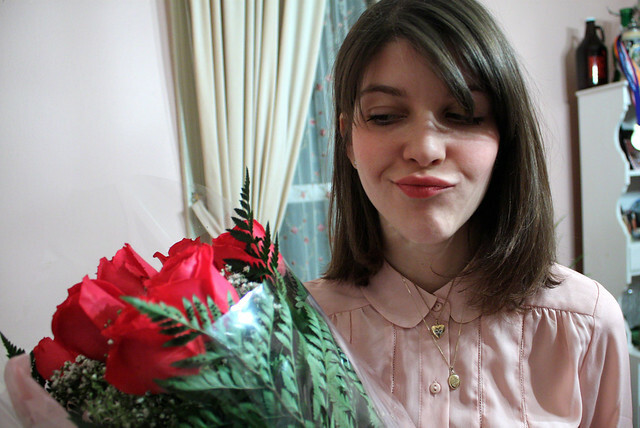 I know its a little belated but I wanted to share some pictures from Valentine's day. Last year Rich and I had only been officially together for just over a month and we did a classic, dress up-nice dinner date. 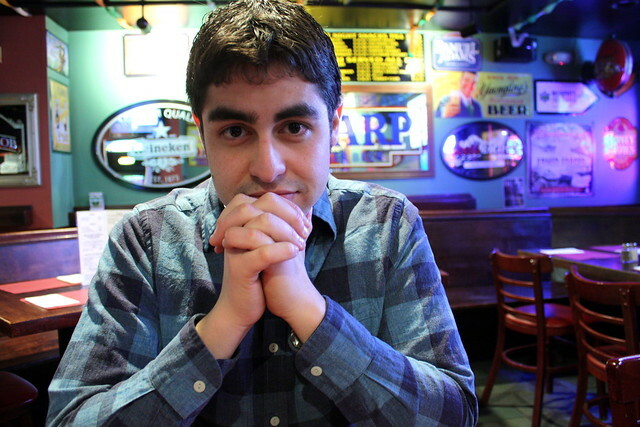 This year we did something that was a little more us, and went to the sports bar where we went the first time we went out. Back when he was just my friend he took me here for a burger and a beer, and on the most romantic of holiday's we went back. We had practically the whole place to ourselves, talked loud, drank beer and flirted all evening. This was the perfect way to spend the evening with my favorite guy. 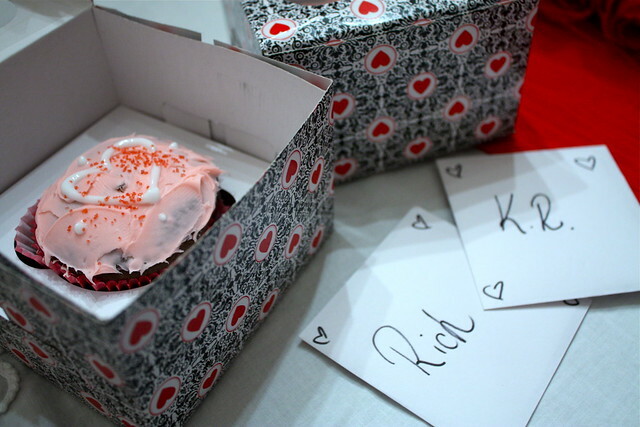 When I got in from work LK had left surprise cupcakes for Rich and I at my house. This is how I look when I feel awesome. 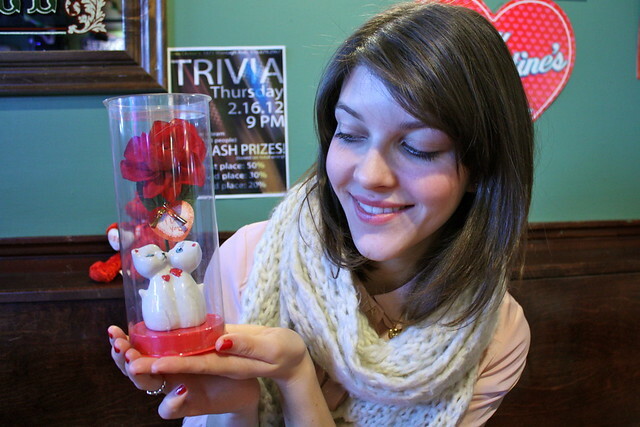 Displaying some vintage ceramic Valentine's cats decorating the bar. It was hard to part with them. sounds like a perfectly lovely valentine's day! Soo I love your blog! funny story, I was on tumblr and I saw the second picture of you from your last post and its CRAZY, i thought it was me!! Its only in that picture mostly, but you looked like my twin! your top is so pretttty! and mmm cupcake! That facial expression, which you describe as how you look when you feel awesome, is the most unusual, complex, interesting one I've ever seen. What a perfect Valentine's day! Lol, Kyle and I do the same thing all of the time, hangout at our favorire places instead of going to somewhere fancy. I really love your scarf and your cupcakes! Aww, cute. I think its way more romantic do to something that has meaning to you as a couple than getting caught up in the hype. Sounds like a truly fantastic Valentines day. That cupcake looks delicious. Sounds like like a wonderful Valentine's Day to me! Your blouse is lovely as well - the perfect shade of pastel pink. I'm really regretting not getting off the metro next to the cupcake place this morning now! 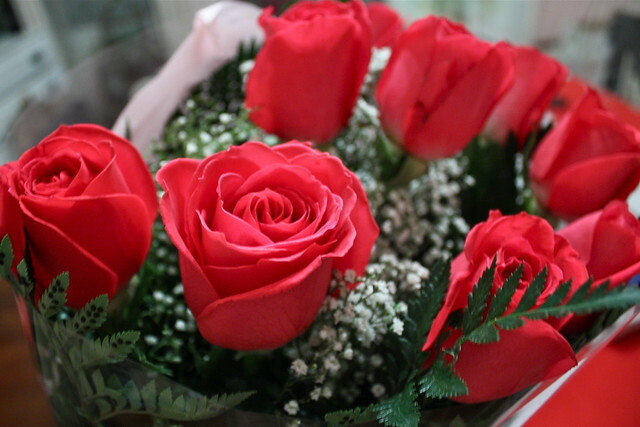 Happy Valentine's Day to you both, belatedly. And where is that lovely pink blouse from?